Virginia is in the process of updating statewide Stormwater Regulations. A draft has been written, and it's open for public comment until August 21, 2009. Some people are concerned that the stricter caps on nutrient loads, as they are currently written, will promote low-density development and ultimately hurt the water quality and quantity of runoff in the Chesapeake Bay watershed. Here’s a simple and, I think, realistic hypothetical scenario. Developer A wants to develop 100 dwelling units on 1000 acres of land, and developer B wants to develop 100 dwelling units on 10 acres of land. Developer A will only need to cover 10% of her large site with impervious surface, while developer B will need to cover 70% of her small site with impervious surface. Developer A assumes that 100% of residents will use an automobile for transportation, while Developer B assumes 50% will primarily walk or use transit. Therefore, Developer A’s project will require twice as many parking spaces and approximately twice as much road width in the region, but most of this will be accommodated for off-site. Under the stormwater regulations being proposed, Developer A will likely score an A+ with a pass to move forward, while developer B will fail. This is because the standards are determined, site-by-site, on a per acre basis and not a per unit basis. Developer B may have the option of purchasing off-site water quality improvements or implementing a set of BMPs to offset the damage she is incurring, but she takes a hard look at her balance sheet and decides to join developer A as a business partner. What benefited the individual acres of the sites in question clearly was an overall loss for the watershed as a whole. And considering opportunity costs makes the situation even dicier. What if these developers bypass infill redevelopment of an industrial site for a more compliant and cheaper greenfield development? (Stormwater controls will generally be more expensive for redevelopment than new development). Now you have impervious surfaces in two places, instead of one. Super. The economic market analysis, conducted for the Department of Conservation and Recreation by a Virginia Tech professor, bears this out in more detail. Now I'm no hydrologist. Not at all. Most of the science and bureaucratic mechanisms behind this policy are pretty bewildering to me, and I don't really have the time to try to figure them out. Furthermore, I thought it might be safe to assume that as glaring a potential problem as this is, somebody in the state offices must be working to sort it out. Then I read this comment from a member of the Technical Advisory Committee that helped craft the policy, and I changed my mind. "Stormwater codes should be judged on how well they manage runoff quantity and quality, not how well they do or don't control growth ... Smart growth codes should be judged by how well they control sprawl." Sometimes genuinely smart and well-intentioned people err by focusing intently on the piece of the puzzle they have been commissioned to solve, thereby missing the larger system within which their problem is embedded. It's the classic widen-the-freeway-to-reduce-congestion scenario. It may solve the technical problem at hand, but it exacerbates the Real Problem. The fact is that Stormwater Management and Smart Growth have everything to do with each other. Treating them separately and pitting one against the other is a losing game for both water quality and growth of development. "The results indicate when runoff is measured by the acre, limiting density does produce less stormwater runoff when compared to the higher-density scenarios. However, when measured by the house, higher densities produce less stormwater runoff." "Many communities assume that low-density development automatically protects water resources. This study has shown that this assumption is flawed and that pursuit of low-density development can in fact be counterproductive, contributing to high rates of land conversion and stormwater runoff and missing opportunities to preserve valuable land within watersheds." And I should add that this report focuses exclusively on quantity of water runoff. If you look at the issue of quality and factor in the introduction of pollutants such as motor fuels, de-icing chemicals, vehicular exhaust, lawn fertilizers and pesticides, faulty septic systems, etc. into the water supply the case against promoting low-density development grows and grows. Let's not strike out on this one. 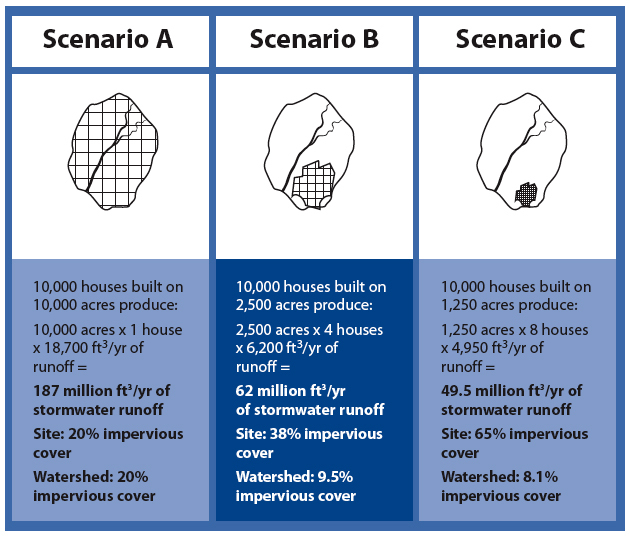 Interesting graphic on stormwater control- quite the disparity between the 3 choices. SWPPP training can help solve all the stormwater problems that can come about. It can really help with problems that may develop in the future as well. First of all thanks for share.Your blog is really awesome and superb also.I like it so much. I agree that it's important that we all play a role in taking better care of the earth. Dandy makes some good products that can easily be used by homeowners. I couldn't pass by... Feeling gratitude, and not expressing it, is like wrapping a present and not giving it. Thank you for this article! Utilize dissertation writing services by following ​http://dissertationwriting.services/ - it's absolutely affordable! 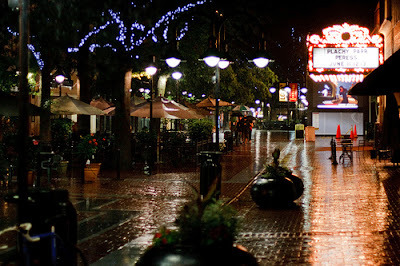 Nice blog and awareness about storm water thanks for posting this informative blog. I am also doing stormwater management training courses from NWETC and its good experiences to learn about environment.